Let us help you find the NH property you are searching for! Interested in MOULTONBORO NH REAL ESTATE? We've compiled information about the Town of Moultonboro for you here. There are useful links for Town and School Information, Area Links, Featured Properties, and All Moultonboro NH Real Estate Listings currently on the market. Use our CUSTOM SEARCHES to jump start your search, and be sure to CONTACT US if you need any additional information on the Town of Moultonboro or area Real Estate! This small, spread out town is at the quiet, northern-most tip of Lake Winnipesaukee and appears much today as it did at the turn-of-the-century. Moultonboro is home to the notable Castle in the Clouds, a mansion built high on the side of the Ossipee Mountains in the early 1900's. Here visitors will experience unequaled views of Lake Winnipesaukee and the surrounding mountains. Also in Moultonborough visitors will find the Loon Preservation Center, which is located on Lee's Mill Road, now celebrating more than 30 years of operation. When you visit the Loon Center, save some time to take a walk on one of two trails that run through the 200-acre Markus Wildlife Sanctuary on the shore of Lake Winnipesaukee. The town of Moultonboro was named for Colonel Jonathan Moulton, a general of the militia during the Revolutionary War. The first settlement was established in the Birch Hill area of east Moultonboro, which is now known as Castle Shores/Suissevale. Many of the earlier settlers came from Hampton, New Hampshire, including Jonathon Moulton. In 1840, there were over 250 small, subsistence type farms in Moultonboro and sawmills, blacksmiths, and a steamboat landing at Lee's Mills. Many of the men from Moultonboro were volunteers during the Civil War. Beginning in the late 1800s, many summer homes began to spring up along the lake shore, which had been characterized as "rocky bad land" in the original survey of the land granted for the town. Early settlers also made their homes in the Ossipee Mountains. That property was later purchased by millionaire shoe factory owner Thomas Plant to become part of his grand estate, "Lucknow" now known as the Castle in the Clouds resort, which is open to the public. The Far Echo and Langdon Cove areas were among the first summer colonies, and there were also summer youths camps, such as Camp Tecumseh, a boys camp , that began in 1903 on the site of the former Town Farm, where paupers and mentally ill persons once lived. The 20th century has seen increasing development of the Winnipesaukee shoreline, which in Moultonboro, encompasses 69 miles, more than any other town in the state. On a busy weekend, the town's population now swells to well over 10 times its winter population. 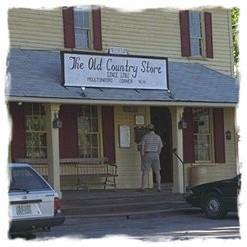 Visitors can enjoy several restaurants, an old country store, historical sites and a variety of activities, including a steamboat rally held every fall at Lee's Mills. 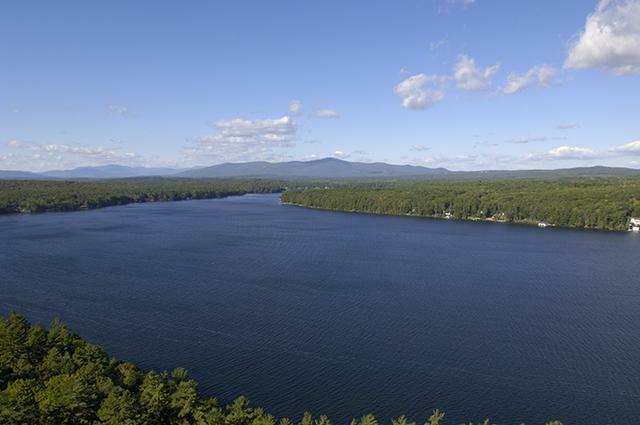 With over 60 miles of frontage on Lake Winnipesaukee, Moultonboro is a true lakeside community. The Ossipee Mountains provide a scenic backdrop to Moultonboro Bay, a perfect setting for boating, fishing and swimming. At the end of Moultonboro neck is Long Island. a protected area for deer. An early evening drive here usually yields many deer sightings. Visitors to the area in the summer should not miss Castle in the Clouds, a unique estate with commanding views of the lake. The first settlers were grantees from Hampton, among whom were at least 16 Moultons, giving the town its name. Colonel Jonathan Moulton was considered to be one of the richest men in the province at the start of the American Revolution. Moultonborough was chartered in 1763, and at the time was described as being near "Winnepisseoky Pond."